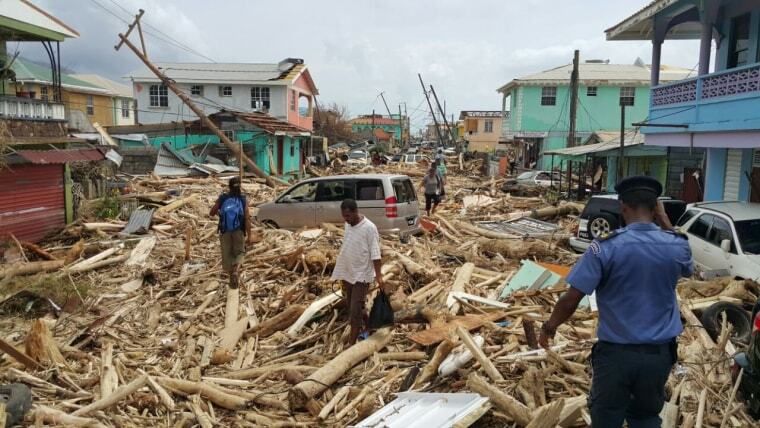 Hurricane Maria barrelled through the Caribbean on a destructive path similar to Irma's earlier in the month. 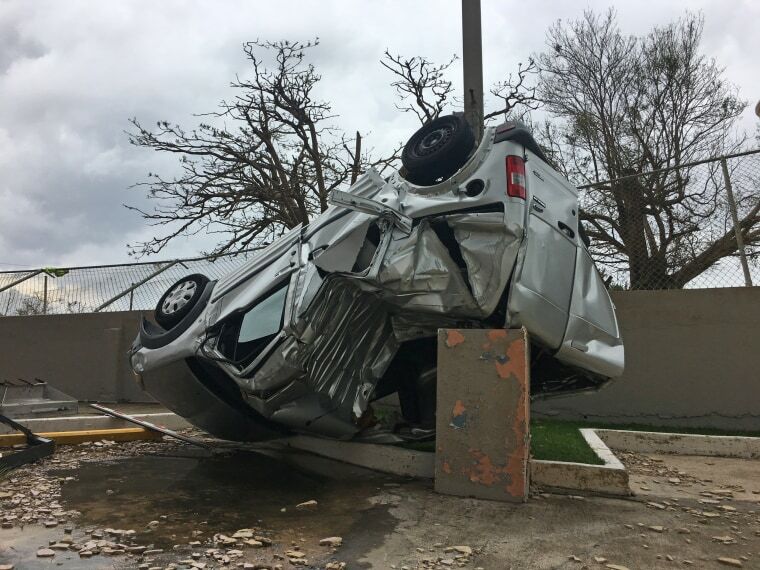 A car is smashed against a pole in San Juan on Sept. 21, the day after Hurricane Maria made landfall. 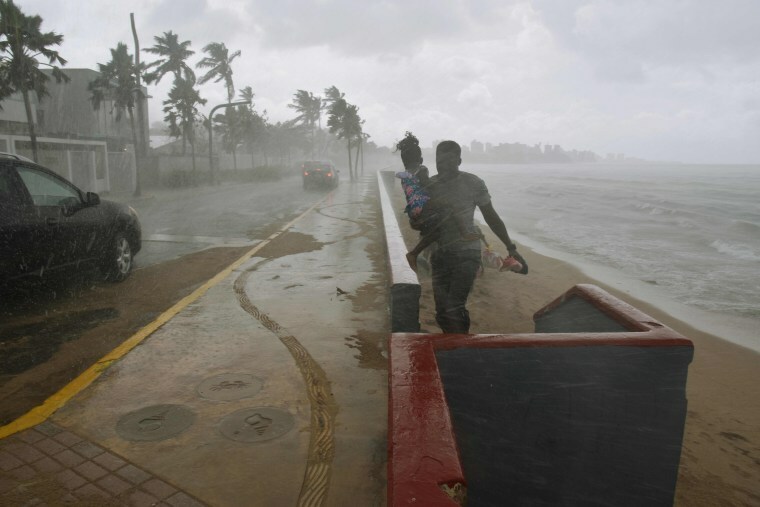 After leaving a deadly trail of destruction on a string of smaller Caribbean islands, Maria made landfall on Puerto Rico's southeast coast around daybreak, packing winds of around 150 mph. A tree lies across Plaza de Colon in Old San Juan. 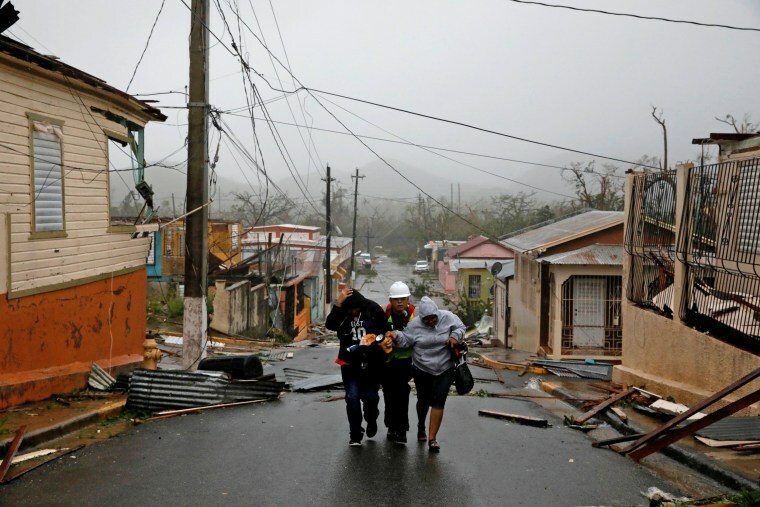 Hurricane Maria, the most powerful storm to hit the U.S. territory in almost a century, ravaged the island, demolishing homes and knocking out all electricity. 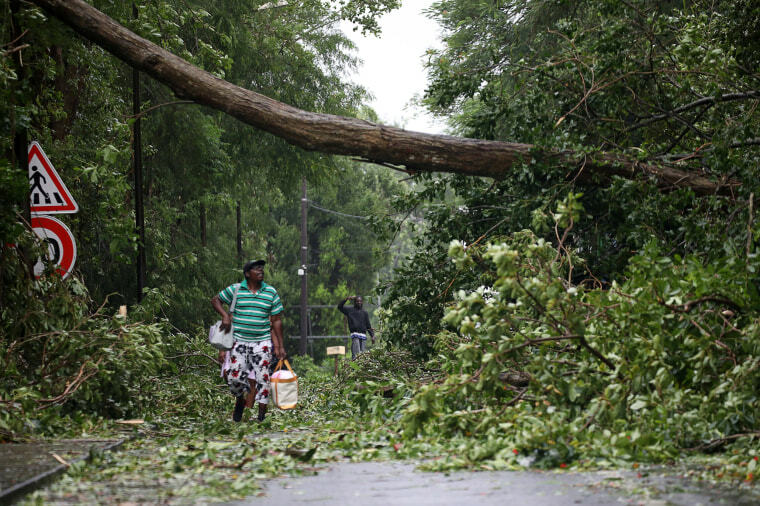 Downed trees cover a street in San Juan on Sept. 20. Police cars make their way down darkened streets as power failed in San Juan following the passage of Hurricane Maria. Millions of people in Puerto Rico potentially face up to half a year without power after Maria devastated the U.S. territory, according to officials. Puerto Rico's electric grid was crumbling amid lack of maintenance and a dwindling staff even before Maria and Irma hit the island. A man wades through a flooded road in Fajardo, eastern Puerto Rico. 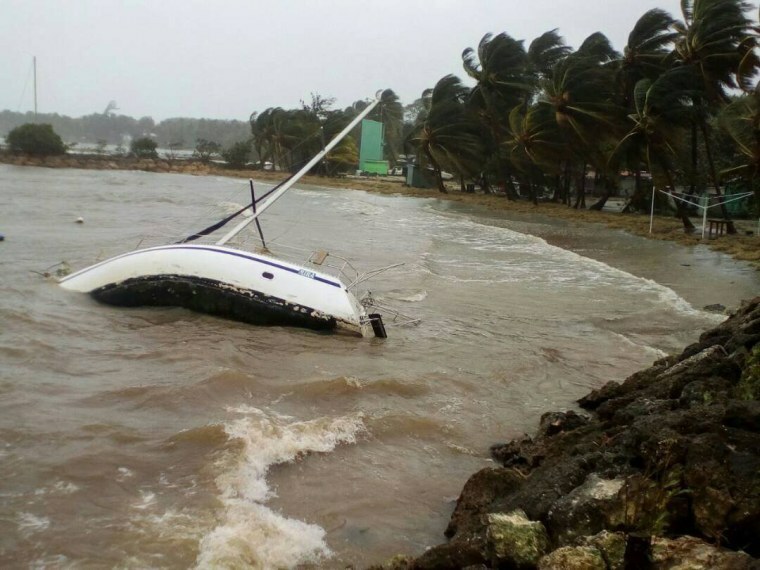 People walk by a sail boat washed ashore in Fajardo. Electricity poles and lines lay toppled on the road in Humacao. A man walks past a destroyed house in Guayama, on the southern coast of Puerto Rico. 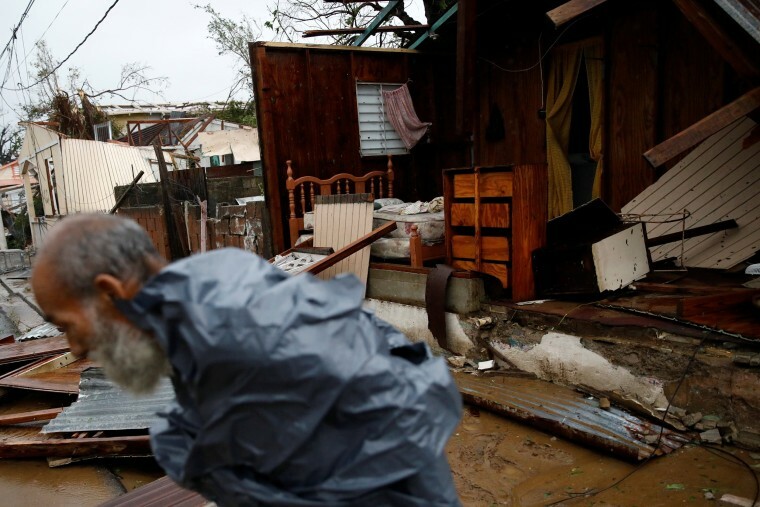 A man looks for valuables in the damaged house of a relative in Guayama. 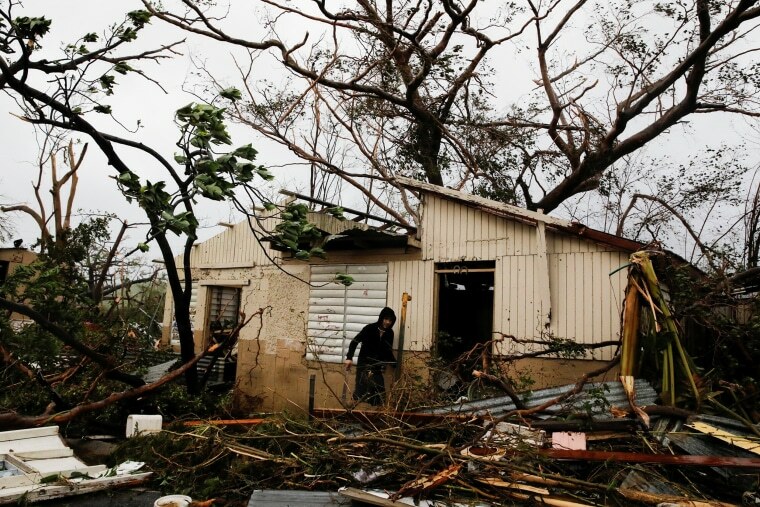 Rescue workers help people in Guayama. 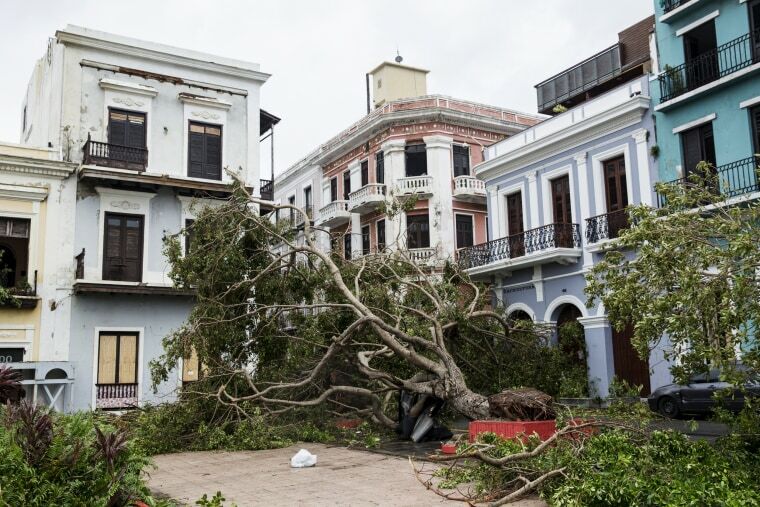 Debris litters a street in San Juan. A woman wades through floodwaters in the Puerto Nuevo neighborhood of San Juan. A police car patrols as the hurricane hits in Fajardo. 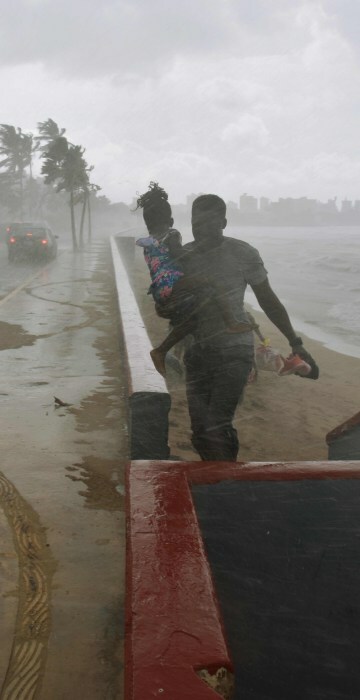 A man and his daughter make their way through rain on a beach in San Juan on Sept. 19, prior to the arrival of Hurricane Maria. 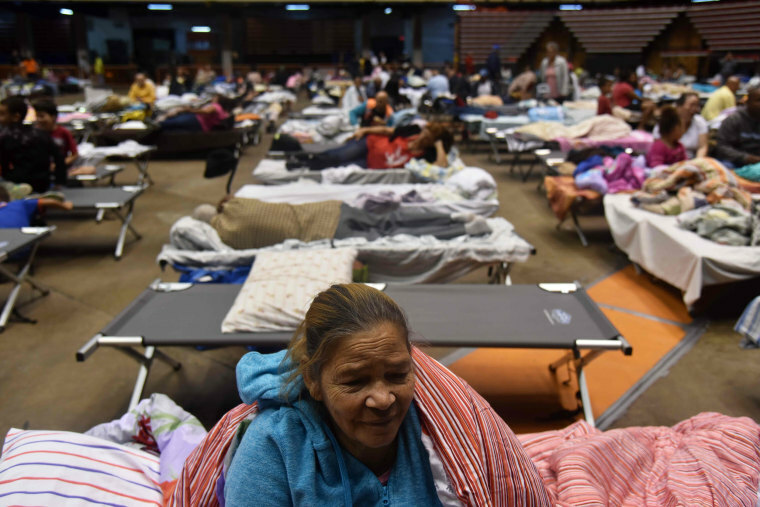 Puerto Ricans take refuge at the Roberto Clemente Coliseum in San Juan ahead of Hurricane Maria. People survey the damage in Roseau on Sept. 20, the day after Hurricane Maria passed over the island. 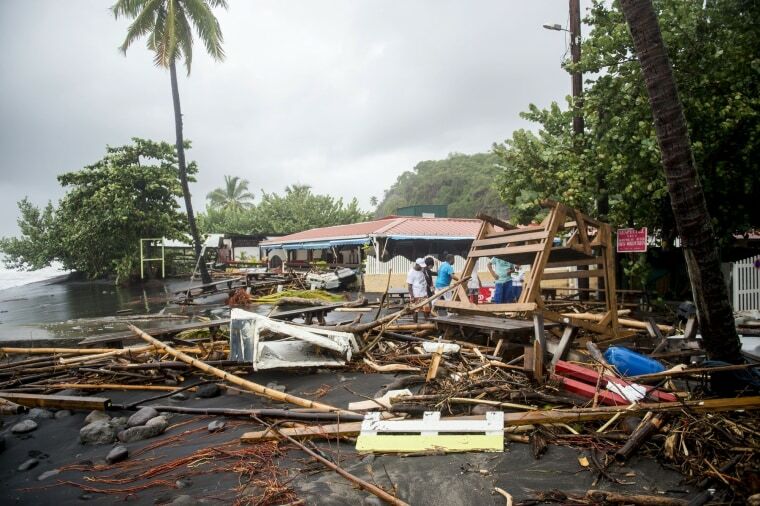 The prime minister of Dominica says more than 15 people are dead and 20 remain missing after Hurricane Maria's direct hit on the Caribbean island. 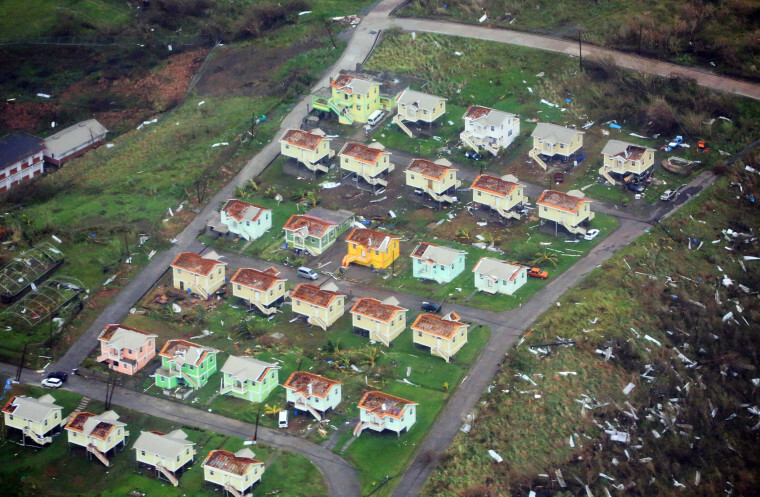 Roofs are stripped from houses on the island of Dominica on Sept. 19. 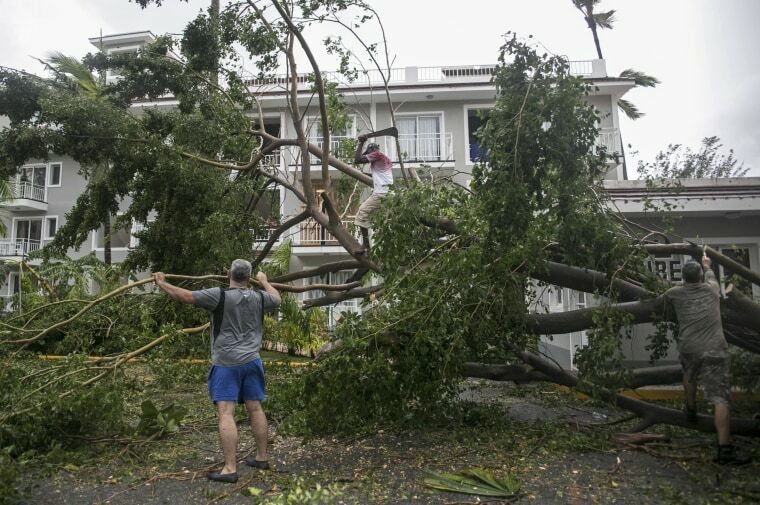 Men cut a fallen tree in Bavaro after the crossing of Hurricane Maria on Sept. 21. 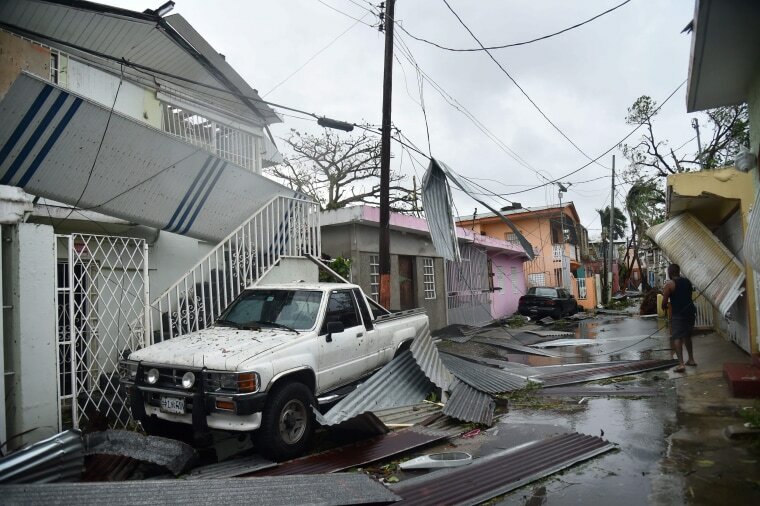 Hurricane Maria hit the northeastern Dominican Republic early Thursday and was expected to pass near the Turks and Caicos later in the day. A boat lays on its side off the shore on Sept. 19. A man passes a fallen tree in Pointe-a-Pitre, Guadeloupe. People survey the debris at a restaurant in Le Carbet on Sept. 19. Martinique suffered power outages but avoided major damage. 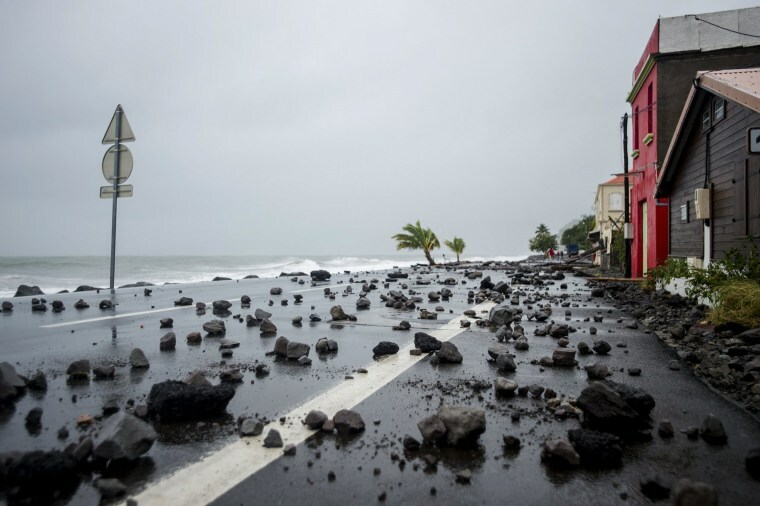 Rocks swept by strong waves cover a road in Le Carbet. 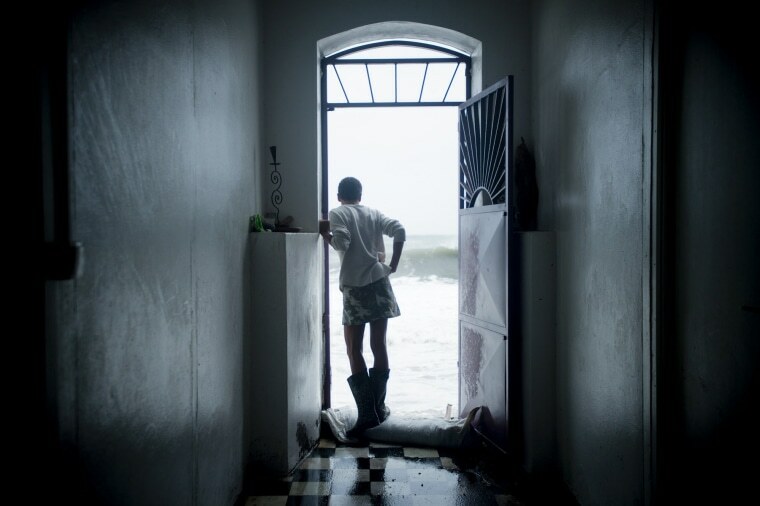 A woman watches strong surf from her doorstep in Saint-Pierre, Martinique.